Ronnie O'Sullivan's stunning form continued as he stormed back to the top of the world rankings for the first time since 2010 with a thrilling 13-11 victory over Neil Robertson in the Tour Championship final in Llandudno. O'Sullivan ended Mark Selby's enduring reign at the top of the world rankings and he also became the oldest world No.1 in 36 years at the age of 43. 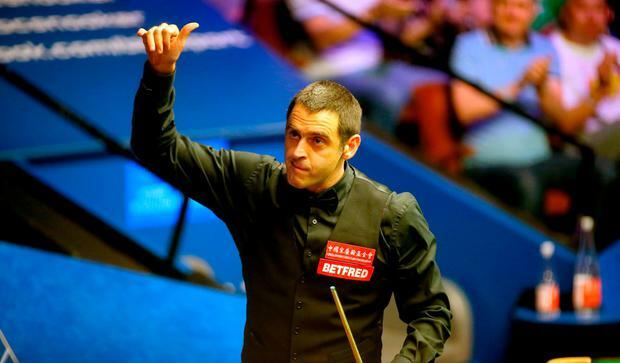 He's done it - @ronnieo147 beats Neil Robertson 13-11 in the Tour Championship! "I've never been driven by being number one in the world but to get there after only playing half the tournaments is probably one of my best achievements," stated 'The Rocket'. "I'm delighted to get the win. Now it is all about trying to get a bit of silverware at the back end of my career because I'm ready for the seniors tour! "Now I'm looking forward to the world championships. I'm in decent form and I've got a chance if I carry on playing like this. "I like to play and I like to enjoy the game. When that doesn't happen, I'm a bit hard on myself, so let's enjoy this." Congrats @ronnieo147 #1 in the world again,incredible performance and season so far. Phil Casey Mark Allen faces a fine from World Snooker after conceding a match-winning frame with 11 reds still left on the table at the World Grand Prix. Barry Black Judd Trump claimed his first Masters title in emphatic fashion as he defeated seven-time champion Ronnie O'Sullivan 10-4 at the Alexandra Palace last night.